Submersible pressure transducers, also known as hydrostatic level sensors, measure level by converting the pressure of a liquid based on its height above the sensor and its density into a linear output signal. These sensors can be a cost effective solution for monitoring water level in outdoor applications as well as for measurement inside tanks that are vented to atmosphere such as diesel fuel tanks. Submersible pressure transducers are available with intrinsically safe ratings for applications that are considered hazardous locations. Learn more about submersible applications here. Core Sensors offers submersible pressure transducers for standard industrial applications such as water tank level monitoring. Transducers can be configured in voltage and 4-20mA output signals with standard or custom cable lengths. Pressure ranges from 1 PSI up to 100 PSI are available. 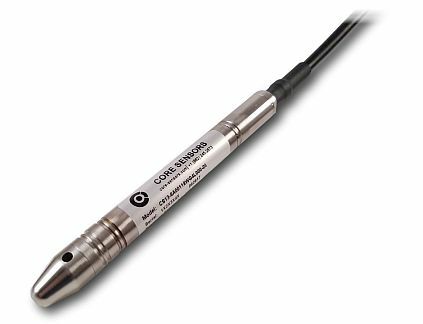 Core Sensors offers a small diameter submersible pressure transducer featuring a max diameter of 0.63″. This sensor is perfect for bore hole level measurement applications or other submersible applications in confined spaces. Sensors are available in pressures from 0-3 to 100 PSI with vented Hytrel cable and voltage or 4-20mA output signals. The Core Sensors CS72 Intrinsically Safe Submersible Pressure Transducer is ideal for level monitoring applications where hazardous area classifications are required. 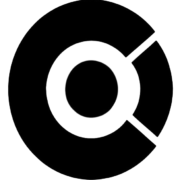 The CS72 is approved to CSA Class 1, Division 1 Intrinsically Safe, Groups A, B, C, D, T4 when installed with an approved barrier. 316L SS wetted material along with a vented PUR cable jacket allow for compatibility in a wide variety of liquids. Configurable pressure ranges up to 100 PSI are available with various output signals.